Figaro was Walt Disney's favorite character in Pinocchio, and it's pretty easy to see why. This handcrafted design captures the tuxedo cat's endearing personality, beautifully sculpted in stone resin and hand painted with whimsical folk-art details. 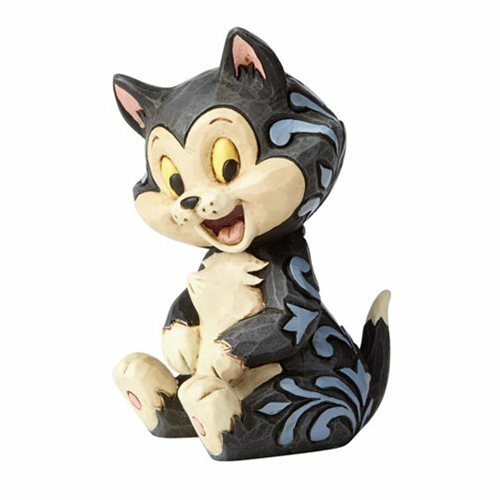 This 3-inch tall Disney Traditions Pinocchio Figaro Statue by Jim Shore makes a delightful gift for both cat-lovers and fans of the film. Enesco's Disney Traditions collection by Jim Shore combines the magic of Disney with the time-honored motifs of folk art.Ages 14 and up.